Grand Junction, Colorado’s first Satanic invocation went off without a hitch yesterday evening, with an audience of about 50 interested onlookers and five out of seven city council members present. “We exhort all officials and stewards of the public good, including those here tonight, to be unified in your endeavors for honesty, truth and wisdom. “We counsel this entire community to allow the light of truth to shine unobstructed on all matters, and to let not one coveted assumption be spared examination, to let not one archaic belief be spared disgrace, and thus leave no room for ignorance and assumption. “So say we all in the name of reason, in the name of free inquiry and in the name of rebellion against theocracy. Modern Satanism encourages compassion and empathy towards all (including animals), supports the pursuit of justice, opposes to efforts to control others’ bodies, promotes freedom of speech including the freedom to offend, and supports establishing belief systems based on scientific reason and discovery. 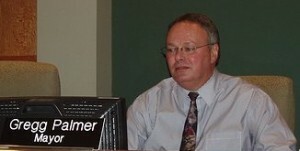 Former Grand Junction Mayor Gregg Palmer served on the G.J. Regional Airport Board during the time the FBI was investigating the Airport for fraud, and had a failed run for Mesa County Commissioner in 2014. In a letter to the editor of the Daily Sentinel printed on August 2, former City Councilman Gregg Palmer and owner of Brown’s Shoe Fit on Main Street, described non-Christians giving invocations as “unsavory.” But his intolerance of diversity did not deter anyone, and may even punctuate how far Grand Junction has evolved culturally in the last few years. Mr. Palmer has been out of office for many years now, during which time the City of Grand Junction has become far more diverse. The current city council seems to be distinctly more open-minded and welcoming, and less opposed to different kinds of citizens saying the invocation at their meetings. After all, the City itself put in place an invocation policy that welcomes all comers without regard to ethnicity, religion or any other characteristics. That’s a wonderful thing. The Satanic invocation raised awareness of the City’s broad invocation policy and embrace of diversity, and Rastafarians to Pastafarians and beyond are now applying for an opportunity to say the invocation. Thanks to this, City Council can likely expect more interesting and exciting invocations at future public meetings, and that’s a terrific thing, especially if it gets more people watching and participating in the goings-on down at City Hall. ← Grand Junction City Council to Host Satanic Invocation Wed., August 2 at 6:00 p.m. In the video at the bottom of the Sentinel article, Anne Landman of the Atheists & Free Thinkers urges: “…I think it’s time for city council to come into the 21st century. acknowledge that there’s diversity here, and start behaving a way that, um, agrees with the law”. What law are you speaking about? Here is the US Supreme Court decision where a group who found christian prayer at civic meetings “offensive” and “intolerable” brought suit against the Town of Greece, NY, in almost identical circumstances. So Ms. Landman, Atheists and Free Thinkers, now that we’ve established what the law actually is, what “law” are you citing that the council is currently out of agreement with? Or did you not know what the law is (despite your commenting on multiple posts on our Mesa County Patriot facebook page, some of which cite the supreme court ruling)? Or is this just more sophistry and pretending not to know the law and hoping no will notice your calls for the City Council to change their current practice to “agree” with what you want to pretend the law means, while hoping everyone is ignorant of the actual law?